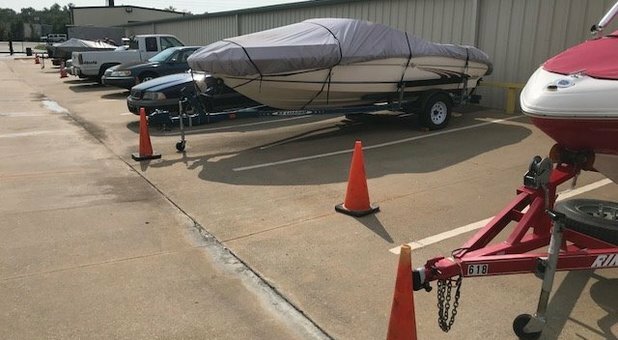 Are you looking for storage in the Coweta/Broken Arrow, Oklahoma area? 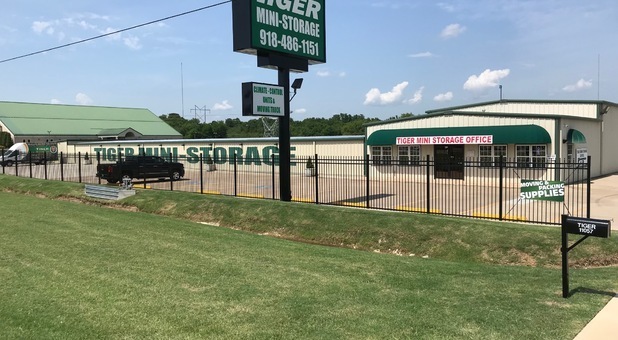 Come to Tiger Mini-Storage! We have a variety of indoor and outdoor storage options. You’ll find us on Highway 51, close to the Walmart Supercenter, between Robertson Tire and Our Finest Hour Church. 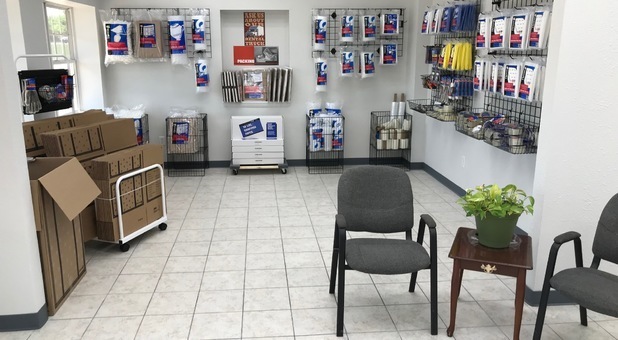 Our central location is perfect for the residents and businesses of many surrounding communities, including Coweta, Wagoner, Porter, Haskell, Bixby, Tulsa, Catoosa, and Inola. 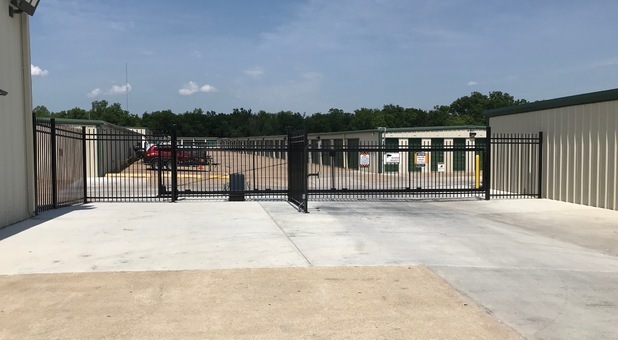 Stop by today for a tour of our clean facility! Rent any Regular Unit (5x10 thru 10x20) and get your 2nd Month Free. Offer does not apply to the rental of Climate Control Units. Go east on BA Expy. Take "last (Coweta), Hwy. 51" exit. Brahm's Ice Plant is on your left & Quik Trip is on your right. Continue straight ahead (east) thru the stoplight on Hwy. 51 for 5 miles. You will pass Our Finest Hour Church on your left; Tiger Mini-Storage is next on your left. If you pass the Sonic and the WalMart Supercenter on the left, you have gone too far. 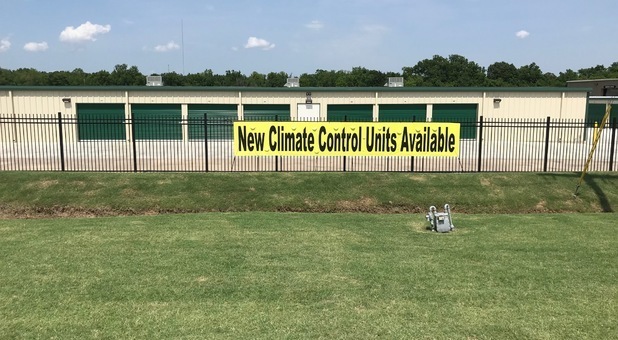 From climate control to large vehicle parking, we have it all! No matter what you want to store, we have a space for you at a price you can afford. 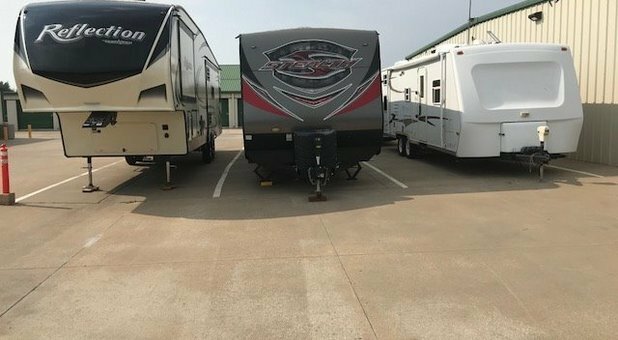 Whether you want to keep important business documents in a temperature-controlled storage unit or an RV in one of our uncovered parking spaces, moving in is simple. Our ground-floor units offer quick drive-up access so you can minimize the distance you have to carry your heavy things. We even have dollies to assist you during your move-in! Security is another one of our top priorities. Between 24-hour controlled keypad entry and round-the-clock video surveillance, we don’t let anything slip by us. 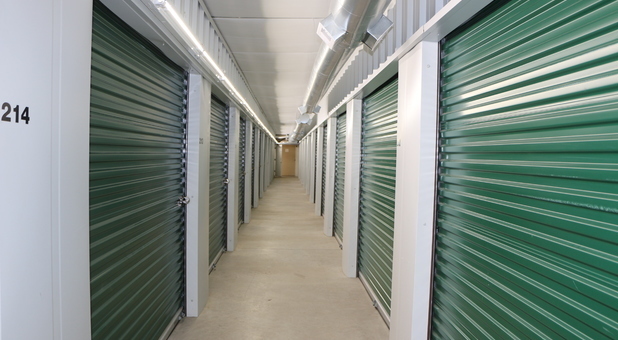 If you’re looking for great customer service and convenient amenities, you won’t find a better storage facility around. With office hours open every day until 5:30 and online bill pay options, we can work with any schedule. 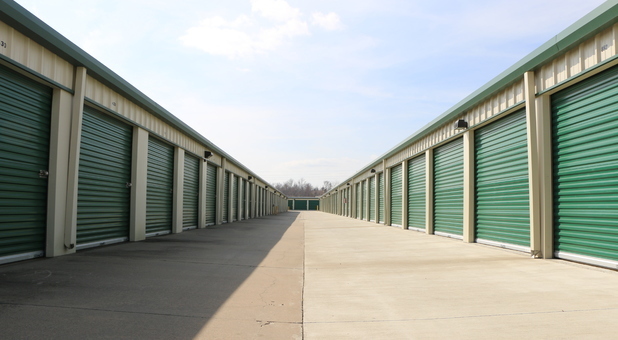 Call today to learn more about our storage solutions! We’ll even loan you a lock when you move in! IF YOU NEED A TRUCK TO MOVE, WE HAVE THAT TOO! Everything superb across the board! Great experience! Staff is awesome. Customer service top notch. Clean facility. Thank you Debbie. We appreciate you being our customer! I have rented from tiger for about 5 years now. I rent two units, one for a vehicle and one for seasonal storage. I have never had any issues renting here. I have had many issues elsewhere, and I can truly say that I sincerely appreciate how well managed this facility is. The manager, Chris, is always available, and he is a super nice guy. The grounds stay clean and everything is always in good repair. They have a very advanced security system, and I feel my things are safer here than other storage facilities. 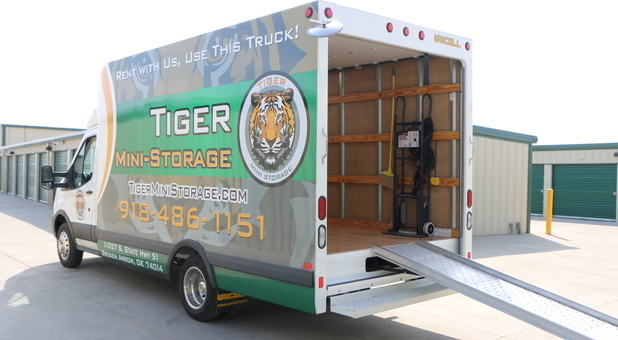 Not all self-storage companies are equal, and I can fully recommend Tiger Mini Storage for anyone needing storage. Thank you Aaron. We appreciate you being our customer! I’ve been here over four years with work-related storage. The place feels secure, they work hard to keep it nice, and there’s often management present. 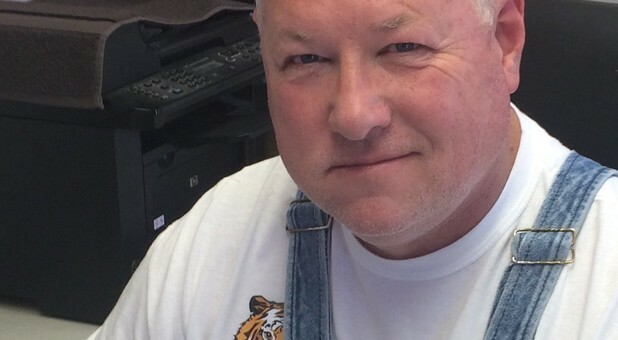 Chris, the manager, goes exceedingly far above and beyond to take care of not only the property but the customers. Highly recommend them for your storage needs. Thank you Kevin. We appreciate you being our customer!